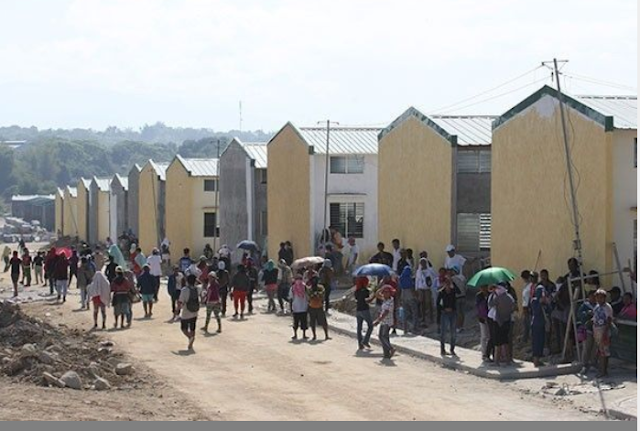 Housing units occupied by the urban group called Kalipunan ng Damayang Mahihirap or Kadamay have been reportedly infiltrated by New People’s Army (NPA) rebels – this according to a breakaway group. Some Kadamay members who occupied the government housing project in Pandi, Bulacan were allegedly recruited as gunmen, said Jeffrey Ariz, a former leader of Kadamay. Ariz also revealed that some units were being used to train NPA recruits. “They have been conducting teach-ins... Some of them... have been doing house-to-house visitation... in search for recruits as young as 11... and to intimidate us,” Ariz said. He also added that there were about 300 families who withdrew their membership from Kadamay a month ago because of what was happening. He said that Kadamay leaders used the same strategy they used in Pandi last year, storming the housing units in Barangay San Isidro Rodriguez Rizal recently. “Bago po sila mag-occupy, mag-meeting ang mga leader ilang araw bago nila gawin ang pag-okupa, tapos sasabihan nila `yung mga taong papasok sa pabahay na iyon (Before occupying any housing project, the leaders of Kadamay would meet days before the occupation of the projects. Before they storm the project, they alert the recruits),” Ariz said, adding that leaders also recruit members from Caloocan and Manila. P150 charge per rally – is true, said Vilma de la Cruz, one of the splinter. De la Cruz said that the presence of NPA and charging of P150 per rally prompted them to walk away. “Lagi po silang nag-babahay-bahay, `yun pong mga leader, naniningil po sila lagi nang naniningil po kapag mag-ra-rally (The leaders are always making rounds, house to house, charging us every time there’s a rally),” de la Cruz claimed. Kadamay to become NPA fighters – is what alarmed them the most. Several leaders allegedly recruited residents to become fighters for NPA, the armed wing of the Communist Party of the Philippines (CPP). De la Cruz said that leaders would check into each household to see if there were children at least 11-years old and older who could be recruited. “Madalas, lalaki po ang hinahanap nila, 11 years old pataas (Most of the time, they are looking for 11-year-old boys),” de la Cruz said. According to de la Cruz, there have been “numerous” recruits since they succeeded occupying the Pandi housing. Meanwhile, Ariz also said that there are other six housing projects occupied by Kadamay, with some being used as training grounds for their recruit. Ariz was referring to the following subdivisions: Bureau of Fire Protection (BFP), Villa Louise (for the police and military), Padre Pio, Pandi 3, Atlantica and Villa Elise. In an article of Manila Times, there was a separate interview to another defectors named Georgina Tuston, who said that all areas in Atlantica were being maximized to train. “Doon po sila [sa Atlantica Subdivision]tinuruan na mag-aral ng paano lumaban sa gobyerno para po sa madaling salita, mga NPA po (They are being taught in Atlantica on how to fight the government or in other words, becoming NPA cadres),” Tuston said. “The reason we withdraw from Kadamay is because of our children and we don’t want them to become enemies of the state and soon-to-be members of the NPA, and we think this is the right thing to do for our children,” she also said. “We cannot stomach anymore their threats and their protests which we disliked,” she added. Ariz also called on the government to give them security because of the supposed NPA threats for leaving the Kadamay group. The bolted members named 14 Kadamay leaders who were making threats to them, they also live in leisure within the area. They are the following; Imelda Borloza, Mercy Mandin, Rowena Esparez, Mely Raz, Concepcion Opalla, Patrick de Ocampo, Janet Villamor, Rolyn Abangan, Milo Maurillo, Violeta Bagaforo, Rosario Soria, Melchor Saludares, Analyn Tumaos-as and Aiko Balcos. When asked for update, the Pandi municipal police station said that it was validating reports on the presence of NPA in the mentioned housing projects.